Though they weren't the first films he directed, the watershed "war trilogy" by director Roberto Rossellini effectively ushered in the neorealist movement that dominated Italian cinema for over a decade. A lifelong film fanatic, Rossellini drastically altered the rules of cinema following World War II alongside other filmmakers like Vittorio De Sica (who directed Shoeshine in 1946 and Bicycle Thieves two years later) and Luchino Visconti (1943's Ossessione and 1948's La Terra Trema), though all three filmmakers would effectively shed the trappings of neorealism within a few years to explore other cinematic pastures. The first and best-known film in the trilogy is Rome, Open City (Roma città aperta, initially released in America as just Open City), Rossellini's anti-fascist reaction to life he witness up close during the Mussolini regime. 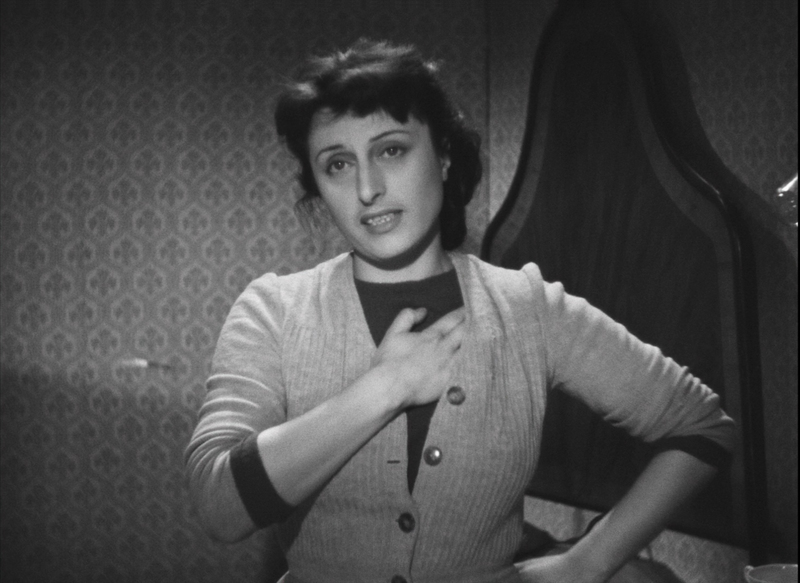 Thanks to the Nazi occupation, Rome is an exhausting, paranoid city where Pina (the great Magnani) is thrust into the world of resistance fighters after her fiancé, Francesco (Grandjacquet), is approached for refuge by his good friend, communist resistance member Giorgio (Pagliero). 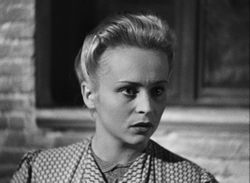 She in turn brings in a Catholic priest, Don Pietro (Fabrizi), for a plan to get Giorgio out of the reach of the Gestapo using a new identity. However, the plan doesn't go as smoothly as planned. Shot with a searing intensity at times, this technically scrappy but effective snapshot of the immediate poisonous effects of fascism is still an impressive experience decades removed from its original context. 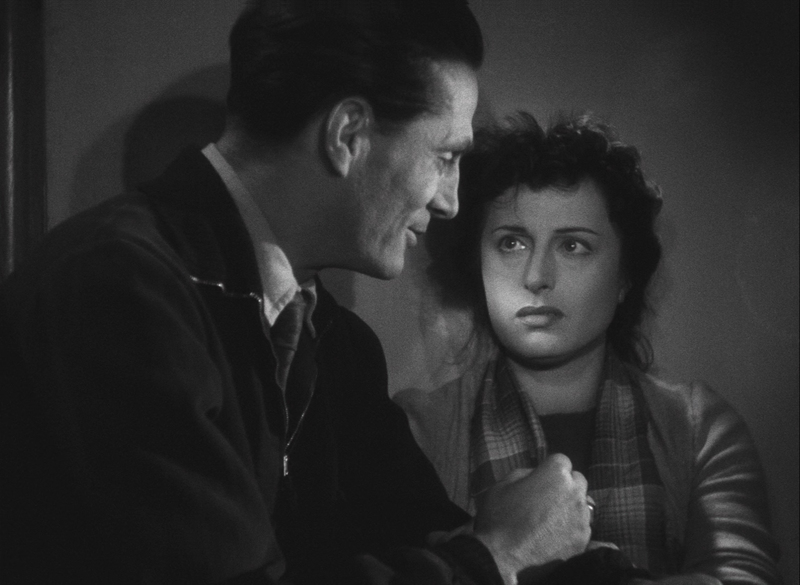 Using both professional actors and amateurs, Rossellini and company aim for extreme realism using natural locations and a complete lack of theatrical artifice, at least by the standards of the day. The influence of the film can still be felt with its techniques adopted into numerous documentaries and kitchen sink dramas, not to mention increasing looseness of guerrilla camerawork once the equipment moves off of the tripod. The following year Rossellini shifted gears a bit with Paisan (Paisà), a six-story anthology film exploring different aspects of the experiences of both Allied forces and the Italian people at the height of World War II. The film stays close to the crowd as it follows such characters as a Sicilian girl wrongly blamed for the death of an American soldier after she tries to save him, a homeless boy opening the eyes of a black American soldier to the living conditions of the time, a group of monks making an essential sacrifice to help their Allied brothers, and a chance encounter at the end of the war that leads both an American youth and an Italian girl down the road to less than ideal futures. Key Italian locales and an often subdued, dispassionate approach make the film tough to shake as both a snapshot of a turbulent period in time and an aesthetic achievement. It's also quite impressive considering the fact that Rossellini wrote the screenplay with at least three other people, among them a young Federico Fellini, with three more involved in the original story writing. What emerges is a remarkably cohesive and powerful film that transcends each of its characters to create a strong, indelible effects by the closing moments. 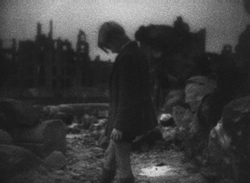 Finally we reach the third and by far the darkest of the three, Germany Year Zero, which (as the title indicates) zeros in on the lives of the German people immediately after the devastating end of the war. It's all seen through the eyes of young boy Edmund (Moeschke), who lives with several other families in a crumbling building and lives a life of desperation. He's left to provide for his ailing father since his Nazi brother is out of the picture and his sister has resorted to working the streets, which leaves him vulnerable to the influences of others he encounters in his daily life... much to his own personal peril. Still pretty shocking to modern sensibilities, Germany Year Zero doesn't hold back when it comes to tough subject matter whether it's the leering advances of adults in Edmund's building or the much-discussed ending, a scene impossible to forget once it's been seen. Interestingly, this one suffered a lesser reputation than the previous two films for decades thanks to the odd decision to shoot it in German but release it in most territories in an Italian-dubbed version, which pretty much wrecks the realism of the entire enterprise if you're paying attention at all. Rome Open City and Germany Year Zero were both issued on DVD from Image Entertainment early in the format's history and, to put it mildly, didn't look very healthy. 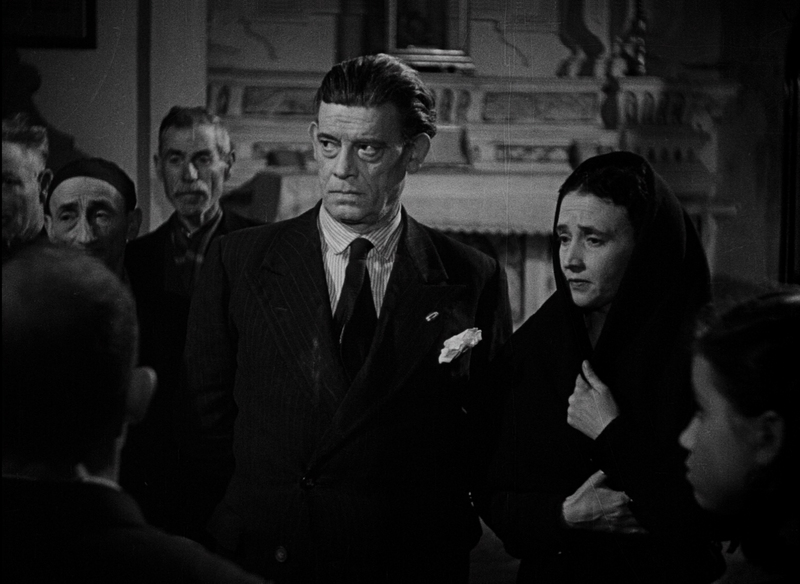 The first film was shot under particularly compromised condition with a variety of film stocks and less than prime technical facilities, but it shouldn't look like a tenth generation bootleg. Paisan had suffered even worse, with the surviving elements in such dire condition that an official video release was a considering an impossibility for many years. In 2010, Criterion finally stepped up to the plate with an excellent three-disc DVD set containing all three titles as close to restored as you could get at the time along with an astonishing slate of extras: video intros by Rossellini to all three films shot in 1963; video interviews with Rossellini scholar Adriano Aprà, film critic and Rossellini friend Father Virgilio Fantuzzi, and directors Paolo and Vittorio Taviani; audio commentary on Rome Open City by film scholar Peter Bondanella; a 2006 doc entitled "Once Upon a Time . . . Rome Open City," packed with archival footage of the director and his collaborators; "Rossellini and the City," a visual essay by Mark Shiel; videotaped excerpts of discussions with Rossellini in 1970 at Rice University; "Into the Future," a visual essay by Tag Gallagher; the 2001 doc "Roberto Rossellini" by Carlo Lizzani (assistant director on Germany Year Zero) including archival appearances by François Truffaut and Martin Scorsese; "Letters from the Front,” a 1987 chat with Lizzani about his production work; Italian-language credits and prologue for Germany Year Zero; "Roberto and Roswitha," an illustrated essay by Thomas Meder on Rossellini’s personal life; and liner notes by James Quandt, Irene Bignardi, Colin MacCabe, and Jonathan Rosenbaum. Whew! Barely overlapping in terms of extras and a definite upgrade in terms of image quality is the limited edition Blu-ray set released in the UK by the BFI, which is hugely recommended if you're Region B capable. The new HD restorations performed in 2013 are extremely impressive if you're familiar with the history of these films; there are still some unavoidable fluctuations and signs of damage, but these look about as good as you're likely to see in a home theater. Paisan is the most erratic of the three for obvious reasons (it's miraculous it's been brought up to the quality seen here), but any admirer should be overjoyed to have these major titles looking like this. Audio is presented in Italian LPCM for the first two films and LPCM German for the third with optional English subtitles. Though the packaging doesn't play it up, you could actually call this a four-film set as it also includes a 2K transfer of L'amore, the 1948 film Rossellini made in the middle of this series with Magnani reuniting with him in front of the camera. It's also notable for the fact that it contains two stories penned by Jean Cocteau and Fellini, a combo that makes this a must see all on its own. The second story ("The Miracle") was something of a censorship sensation in America, incidentally, leading to First Amendment protection of motion pictures like all other art forms. Carried over here is the "Into the Future" piece, while the 2005 "Children of Open City" covers the locations of the film then and now with a ton of historical info and local coverage guided by Vito Annicchiarico. As usual, the liner notes booklet is packed with info thanks to new essays by Rosenbaum, Gallagher, and Geoffrey Nowell-Smith. The three films are also available separately as DVDs only. Reviewed on April 14, 2015.